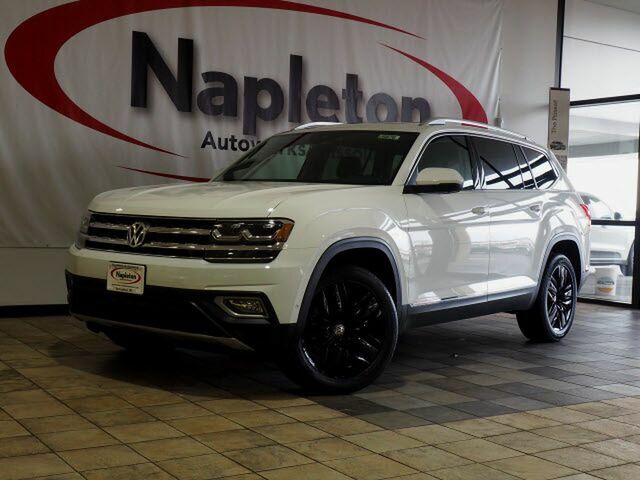 This 2019 Volkswagen Atlas 3.6L V6 SEL Premium is proudly offered by Napleton Autowerks of Missouri Want more room? Want more style? This Volkswagen Atlas is the vehicle for you. Pull up in the vehicle and the valet will want to parked on the front row. This Volkswagen Atlas is the vehicle others dream to own. Don't miss your chance to make it your new ride. Enjoy the comfort and safety of this AWD Volkswagen Atlas 3.6L V6 SEL Premium equipped with many standard features found on other vehicles as optional equipment. Based on the superb condition of this vehicle, along with the options and color, this Volkswagen Atlas 3.6L V6 SEL Premium is sure to sell fast.